He Voted for Trump. Now He’s Running for Congress as a Pro-Pot, Pro-Coal Democrat. – Newsmakers Live! On most nights during the nine-day West Virginia teacher strike last winter, Richard Ojeda could be found at his office in Logan County, gesturing wildly at his iPhone. 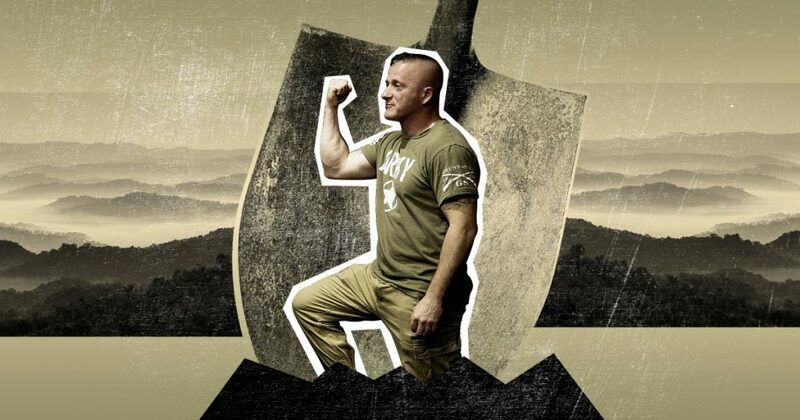 Ojeda, a 47-year-old ex-Army paratrooper who is rarely seen outside the state Senate chamber in anything other than a tight-fitting Grunt Style T-shirt, had been logging on for hourlong Facebook Live segments about once a week since getting elected in 2016. During his first year as a senator, he typically got a few hundred viewers for his riffs about the corruption in his Democratic Party, his campaign for Congress, or his proposal to turn reclaimed surface mines into vast fields of marijuana and lavender. Then, in January, Ojeda became the first politician in Charleston to say out loud what the teachers in his district had begun to discuss among themselves: If the state didn’t shore up public-employee health plans and increase their pay, they’d walk. A few hundred viewers turned into a few thousand. By the time the protests got going, a quarter of a million people were viewing his videos. Families would gather around to see him recount the latest developments. And Ojeda went from a locally known figure to a rising star, someone who, in the eyes of his supporters, could not only upend West Virginia, but maybe offer Democrats in other deep-red enclaves a blueprint for fighting back. A gun-loving, pro-life, pro-coal Trump voter who once promised to “fistfight” Barack Obama’s Environmental Protection Agency, Ojeda doesn’t fit the profile of a progressive firebrand, and in many ways he’s not. He’s seeking to replace Republican Rep. Evan Jenkins, who is leaving to run for the US Senate, in a district President Donald Trump carried by 49 points. But the strike was a catalyst for a Resistance of a different sort. In places like West Virginia, Kentucky, and Oklahoma, teachers and other public employees were rebelling less against Trump than against decades of austerity while corporations—particularly extractive industries—bled their states dry. Ojeda, like the man he supported for president, has found a following in West Virginia by talking about the state’s economic and political powers with unusual directness. But he wants to channel that anger toward far different ends. And he might even win. After returning home, following a career that included three tours in Iraq and one in Afghanistan, Ojeda taught ROTC at the local high school and started a nonprofit that provided meals and shoes to kids. But good deeds could do only so much. So in 2014 he challenged 19-term incumbent Rep. Nick Rahall in the Democratic primary. Ojeda accused Rahall of ignoring the drug abuse and blight of communities like his. He lost, but his anger struck a nerve. Two years later, he challenged his Democratic state senator and won. It nearly killed him. Ojeda often fixates on issues that don’t fit neatly into partisan divides. He won his seat largely by talking about sewer pipes, crumbling pedestrian bridges, cellular dead zones, and potholes. In the Senate, he’s championed medical marijuana and better wages for teachers and prison guards. Where those issues converge—and what makes some progressives in the state view him as a transformative figure rather than simply a man of the moment—is in how he proposes to pay for something better. “We’re not really a state. We’re a colony,” he says. “Everything we’ve ever had—timber, coal—it’s all been extracted out of our state. 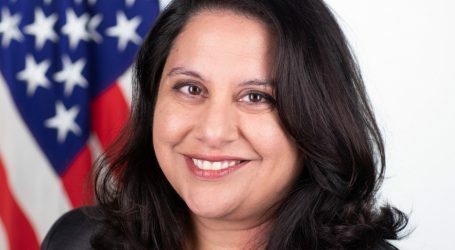 Our people have been here and have worked in those industries, and they remained poor, but the people outside of our state that are the ones that come and get the timber, get the coal, have become billionaires.” His agenda is explicitly focused on breaking that cycle and redistributing the wealth of the state back to the people who work there. Ryan Frankenberry, executive director of the West Virginia Working Families Party, says, “It’s like watching people listen to Jesus.”During the teacher strike, teachers outside the state Capitol chanted “tax gas.” Eventually, even the state’s billionaire, coal-baron Republican governor, Jim Justice, was saying it. But Ojeda had been talking about it for months. West Virginia is in the middle of a boom in natural gas, which many in the state hope might supplant the flagging coal industry. But Ojeda fears the state government is giving away its natural resources (not to mention property rights) without getting much in return, just like it did with coal and timber. He has proposed a 2.5 percent hike in the natural gas severance tax—a royalty on all gas that’s extracted from underground—and an additional 15 percent tax on any natural gas that’s pumped out of state. Even his defense of legal abortion and Planned Parenthood, despite the fact that he is avowedly pro-life, is partly about inequality: Blocking access would hurt the poor, he explains, while the rich would still find ways to get abortions. Those populist instincts have forced Ojeda into some major contradictions, none more glaring than his 2016 vote for president. He wasn’t just a Democrat who happened to support Trump; he was profiled in The New Yorker as a public face of those Democrats. In what many in his party consider the most clear-cut political choice of their lifetimes, Ojeda the veteran, the champion of the working man and undocumented immigrants, went with a draft-dodger who grew rich by stiffing contractors and proposed mass deportation. Coal is where the radicalism of Ojeda’s economic message shines through brightest—he talks about banning the industry’s lobbyists from his office—but it’s also what makes his message such an awkward fit for the Democratic Party. Because his impulse about Clinton was kind of right: You won’t create new coal jobs if Democrats run Washington. I asked how he intends to work with a Democratic Congress to fight climate change while pushing to reopen every shuttered coal mine in West Virginia. “I don’t know,” he replied. He insists those coal mines would be opened only on the condition that they keep the air and water clean and the miners safe. But environmentally friendly mountaintop removal is an oxymoron. Something will have to give. His campaign has flown under the radar of national gatekeepers like the Democratic Congressional Campaign Committee, but Ojeda frequently notes the backing of the People’s House Project, an organization launched by former MSNBC host Krystal Ball that has endorsed working-class candidates such as Wisconsin ironworker Randy Bryce. Rep. Tim Ryan (D-Ohio), whom Ojeda supports for speaker of the House, has called him a model for how Democrats can win back red states. After the teacher strike, it’s not as wild as it once sounded. Democrats across the state—including more than a few teachers—are running on the platform of weed, severance taxes, and better pay that Ojeda has championed. And the uprising Ojeda cheered on in West Virginia has grown into a national movement. Teachers have scored a series of victories across the country by pushing similarly populist arguments. Following mass demonstrations, Oklahoma funded its new teacher pay raises with a tax hike on oil and gas, an industry as untouchable in that state as coal is in Ojeda’s. And Ojeda’s burgeoning celebrity back home has caused national observers to take note. The Cook Political Report recently moved the third district out of its “safe Republican” column, in part because of Ojeda’s surging candidacy. After we spoke in Huntington, he was off to lunch with ABC News. Then he had an interview with NPR. By the time he set off canvassing that afternoon in his dusty red Jeep, his entourage had swelled so much—two camera crews and a half-dozen campaign staffers—that each stop looked like a Publishers Clearing House announcement. Passersby stopped to gawk. A few hours later, Ojeda dropped by a meeting of a Marshall University veterans group in the back room of a sports bar. He was in his element, bantering with the crowd about getting treated for cysts at the VA and the quality of food on base. His internal polling, he said, put him up by a large margin in the May 8th primary over Paul Davis, who runs Huntington’s bus system, and Shirley Love, a state delegate. Should Ojeda make it to the general election, he’ll face one of a half-dozen Republicans vying to replace Jenkins, a man he describes as “unbuttered toast.” The most natural foil for Ojeda might be Rupie Phillips, a Logan County delegate who has the endorsement of the coal trade association. Phillips’ opening campaign video mentioned coal 19 times in 72 seconds. Ojeda boasted to the audience in Huntington that he was beating both Phillips and Conrad Lucas, the former state GOP chair, among registered Republicans. Then he took a shot at another Republican delegate in the race, Carol Miller, a buffalo farmer who helped make the Bible the official state book, for accepting money from the drug manufacturer Pfizer.